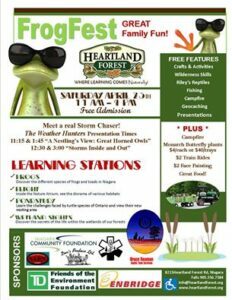 Be sure to visit Heartland Forest’s Frog Fest today from 11am-4pm. Stop by and visit with NRG, learn about geocaching and maybe even find your first cache while you are there! Having your own customized Geocoins minted can be an exciting process. With hundreds of different design options available, you should have no trouble coming up with a Geocoin that will showcase you or your group’s personality in a unique way. Browse the Geocoin gallery for inspiration, and then contact one of the approved Geocoin manufacturers listed here. A Geocoin is a special coin created by individuals or groups of geocachers as a kind of signature item or calling card. Like Travel Bug® Trackables, each Geocoin is assigned a unique tracking ID which allows them to travel from geocache to geocache or to be passed amongst friends, picking up stories along the way. Because each Geocoin is assigned a unique tracking number, its progress can be tracked online through logs posted by the finders. There are different types of logs that can be made on a Geocoin’s personal home page, including picking up or dropping off the coin, and “discovering” the coin. When you log, you’ll have the opportunity to share your thoughts on the Geocoin page and to upload any photos associated with it. In addition, by logging a Geocoin your online collection will reflect that you found that particular coin. What do I do if I find a Geocoin? Don’t panic! You have already made the first step by visiting this web site, where you can log that you found it. We have a How to Use a Geocoin page that explains in more detail how to pick up and drop off geocoins. What do I do if I find an unactivated Geocoin? Oftentimes, geocachers will place unactivated Geocoins in a cache for others to have. In some cases, the activation code has not been included. If you need to obtain an activation code for your Geocoin, please visit the Geocoin manufacturer’s website. Visit this Help Center article for information on locating manufacturers. Where do I find the printable info sheet for my Geocoin or other Trackable? To help your Geocoin or other Trackable reach its goal, custom information sheets can be printed and sent out with the coin. To print this out, visit your Trackable’s reference page and click on “print info sheet.”I found a Geocoin but the website doesn’t recognize the tracking number! To log a geocoin on the website you need to know the tracking number stamped on the coin itself. However, not all geocoins are trackable here, so be sure to check the coin to see if another website URL is stamped on it, or ask around to find out more information. 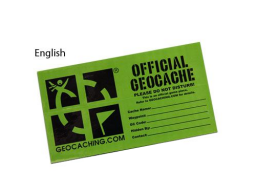 All trackable geocoins on Geocaching.com will contain the phrase “Trackable at Geocaching.com”. Take care not to confuse a series number like “302” with the tracking number, which will typically be a combination of letters and numbers. Is there any Geocoin etiquette? The most common question on etiquette relates to what to do if you find a Geocoin. Keep it? 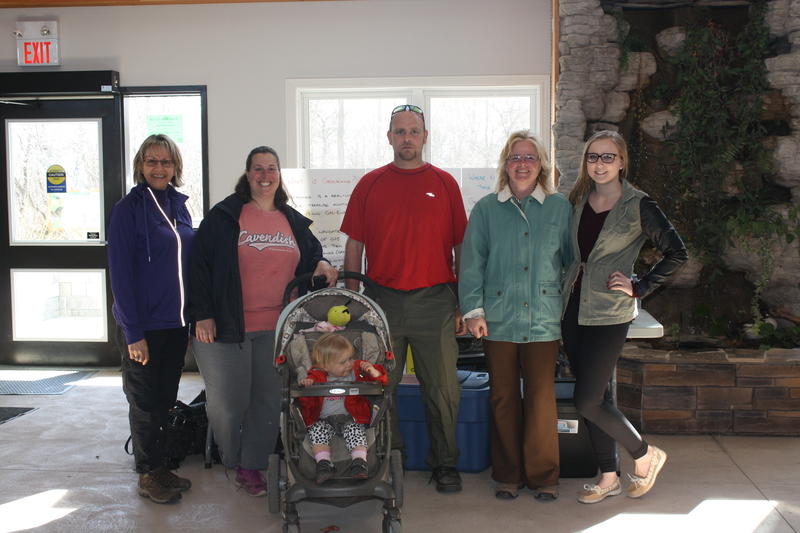 Move it to another geocache? The answer always depends on the goal that its owner has set for it. Usually the best way to find the answer to these questions is to visit the Geocoin’s personal home page and read the description there. If there is a theme or special instructions from the owner, you should do your best to adhere to the Geocoin’s goal, or send an email to the owner for more clarification. Selling a coin that doesn’t belong to you is generally frowned upon unless you have received express permission from its owner. If you create your own series of geocoins and wish to prevent people from selling them, it is recommended you activate all of your coins on Geocaching.com before they leave your possession. This gives you a claim to ownership and, once reported, allows us to deactivate the coin at your request. If you have given any geocoins away which have not been activated, we consider it to be a transfer of ownership and cannot intervene. Think ahead! I received my Geocoins. What do I do next? You will first need to activate each Geocoin you own. Visit the Geocoin Activation Wizard to start activating your new Geocoins. Once you activate them you can place them in caches or trade them with friends. There are different locations for retrieving coin activation codes depending on where they were minted. Check the manufacturer’s website for this information. Some commonly used activation code websites are: www.coincodes.com, and www.oakcoins.com/activate. How do I drop a Geocoin in my own cache? Once you have reported your new cache listing, revisit the listing page and click on the link to post a new log. 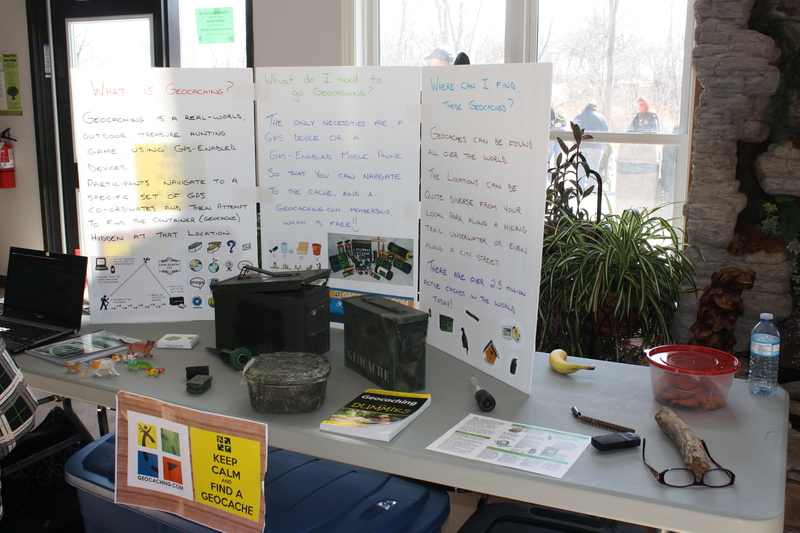 Write a note for your cache listing and select the Geocoin that you wish to drop off in your cache. The distance traveled is calculated wrong. How do I fix it? Distance is calculated for each Geocoin in the logs’ date order. Sometimes users log a Geocoin with the wrong date so the order of the logs is incorrect. This will often create a wrong distance total. To correct this you can delete the logs that are incorrect and have the user re-enter them, but you’ll have to address issues on a case-by-case basis. The Geocoin is no longer in [a cache]. How do I remove it? Occasionally a Geocoin is picked up but for whatever reason the person who picked it up does not log the find. If this happens, users visiting the cache will often let you know that the Geocoin is no longer there. As the Geocoin owner, you have the ability to move your coin to an unknown location until it is found again. Visit your Geocoin’s listing on Geocaching.com and choose the option to move your coin to an unknown location. This will not affect your overall travels and distance calculation. Cache owners also have the ability to move the Geocoin listed on their cache page to an unknown location. How do I transfer ownership of my Geocoin to another geocacher? Visit the Trackable adoption tool and enter the tracking ID for your Geocoin. Then enter the username of the person to whom you would like to transfer the coin. This is a handy utility for sending and receiving adoption requests and a way to help make the transition go smoothly for the new listing owner. A Trackable is a sort of physical geocaching “game piece.” You will often find them in geocaches or see them at geocaching gatherings. Each Trackable is etched with a unique code that can be used to log its movements on Geocaching.com as it travels in the real world. 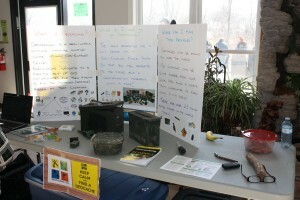 Some of these items have traveled hundreds of thousands of miles thanks to geocachers who move them from cache to cache! There are three main types of Trackables: Travel Bug® Trackables, Geocoins and other Trackables. A Travel Bug is a trackable tag attached to an item that geocachers call a “hitchhiker.” Each Travel Bug has a goal set by its owner. Goals are typically travel-related, such as to visit every country in Europe or travel from coast to coast. Travel Bug Trackables move from cache to cache with the help of geocachers like you. See the “What do I do when I find a Trackable?” section of the guide for information on how you can help Trackables move. Geocoins are customizable coins created by individuals or groups of geocachers as a kind of signature item or calling card. They function exactly like Travel Bug Trackables and should be moved to another cache, unless otherwise specified by their owners. Other Trackable items come in various forms including patches, key rings and more. 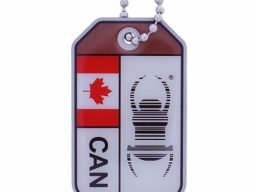 A common feature of Trackable items is that they bear a unique ID code and text noting that they are trackable at Geocaching.com. More information about Trackables can be found here. What should I do when I find a trackable? You are not required to do anything with the Trackable, but if you would like to interact with it, you have two options. If you would like to move the Trackable to another cache, take it with you. You do not need to leave anything in its place as long as you are willing to help it on its journey. You can look up the Trackable’s goal by entering its unique Tracking Code at www.geocaching.com/track or searching for the Tracking Code on Groundspeak’s Geocaching Application.When you take a Trackable from one cache and drop it into another, it is important to log the Trackable’s movements. When you have seen a Trackable in person, but have not moved it, you can log that you have “discovered” it. To do so, you will need to write down the Trackable’s Tracking Code (the unique series of letters and numbers etched on the item).See “How do I log a Trackable?” for logging instructions. Instructions on logging a Trackable can be found here. If you are moving a Trackable in the real world, it is important that you also log this movement online. The steps for logging Travel Bug Trackables, Geocoins and other Trackables are the same. Note that you should not show Tracking Codes to others or upload any photos displaying a Tracking Code. This code is only meant to be seen by those who have actually had the Trackable in their hands. If you would like to direct others to the Trackable’s page, use the Reference Code on the Trackable page (it starts with TB or GC). How do I activate a trackable? To activate a Trackable, visit the Activation Wizard and enter the Trackable’s Tracking and Activation Codes. The Tracking Code is the unique series of letters and numbers etched on the item. The Activation Code is typically found on an insert in the Trackable packaging.